Privately owned by the Remmen foundation. 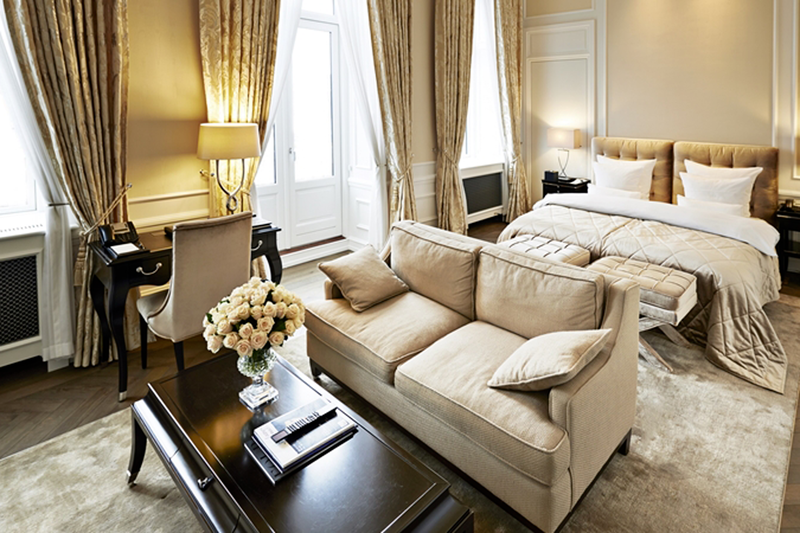 The only 5-star superior hotel in Denmark, member of Leading Hotels. Historical landmark and icon in Copenhagen. 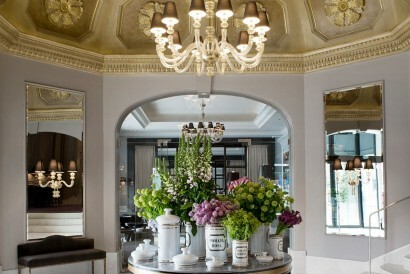 Nestled in the heart of Copenhagen, lies one of the leading hotels in Northern Europe. Established in 1755, the d’Angleterre is an icon and a historic landmark known for serving the elite for three decades. 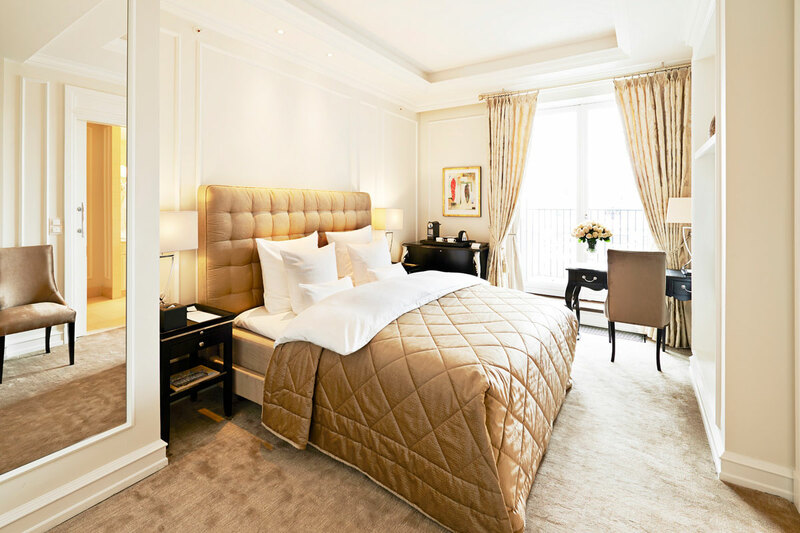 Here, guests can experience the rich heritage of one of the oldest grand palace hotels in Europe, which has been the site of legendary political, royal and national events throughout Denmark’s history. Today, d’Angleterre’s location, in the middle of one of Europe’s most vibrant culinary capitals, makes the hotel the perfect home base from which to explore the rich culture and gastronomy of Copenhagen. The hotel was closed for complete renovation between 2010 and 2013. 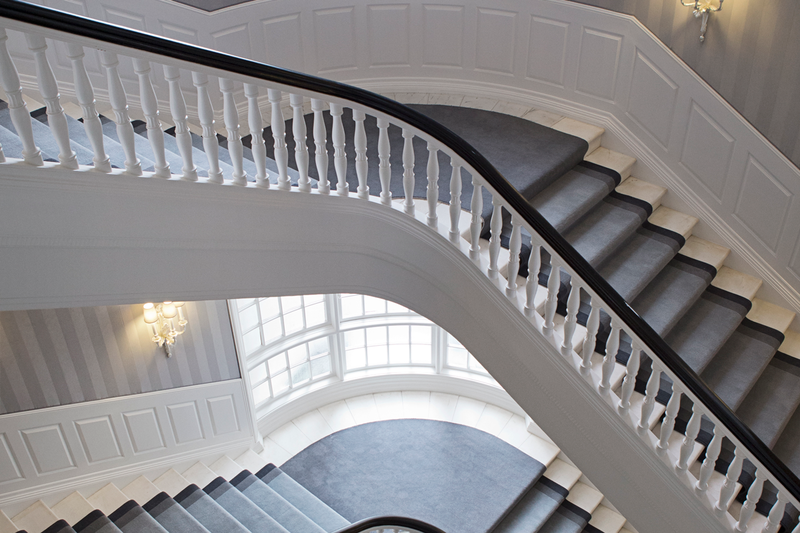 The hotel reopened in May 2013 and completely finished the full renovation in May 2014. Historical landmark and prime location in the city center. 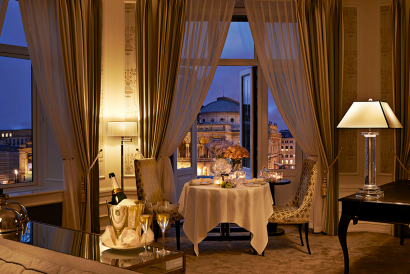 The hotel holds a one star Michelin restaurant and has kept the star for four consecutive years. The spa holds the only swimming pool in the city center and is nominated as the best spa in the country. The hotel is known for the beautiful exclusive interior design, the flower creations and the annual Christmas decoration on the facade. 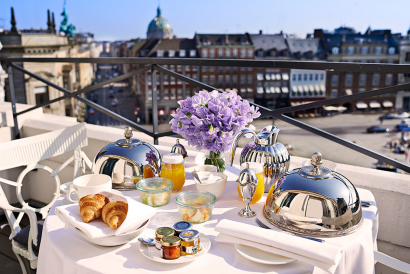 In the middle of one of Europe’s most vibrant culinary capitals, makes the hotel the perfect home base from which to explore the rich culture and gastronomy of Copenhagen. 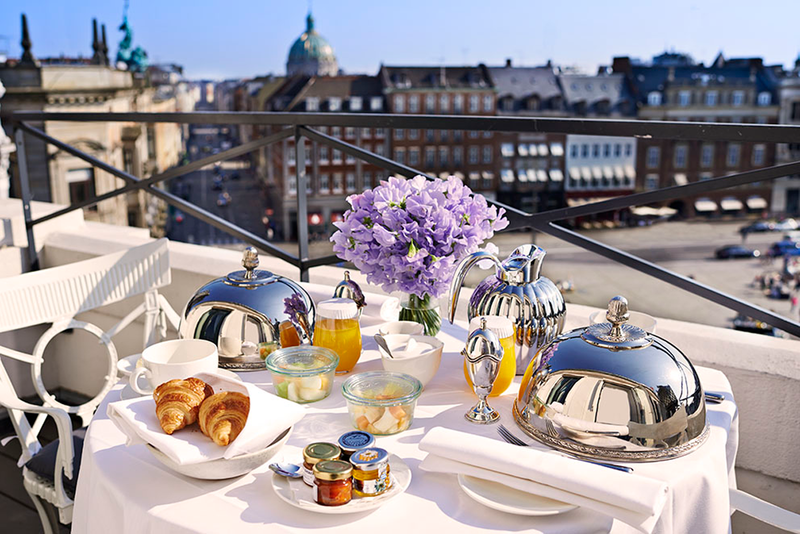 The hotel is located in the heart of Copenhagen on the city square Kongens Nytorv (If translated, King’s New Square) right across from the famous Nyhavn and the Royal Theater at the end of the city shopping pedestrian street Strøget, which is also the longest in Europe. Only 20 minutes from Sweden, 15 minutes from the airport and 10 minutes from the Cruise port. The city of Copenhagen has so much to offer. Explore the Carlsberg brewery, the Little Mermaid, Tivoli Gardens, museums, parks and the Royal Castle, all rich in history. Learn about the life in Denmark, a country that is nominated to have the happiest people in the world. You may also enjoy a visit to Louisiana, the famous museum of modern art or Christiania the free city in Copenhagen. The gastronomic scene in Copenhagen is overwhelming and apart from 18 Michelin stars divided on 15 restaurants in and around Copenhagen, there is many good restaurants, bistros, cafes, bars and cocktail bars in the city. Take a stroll on Strøget, which is Europe’s longest pedestrian street with a range of shopping opportunities from luxury brands to local designers.It is also the possible to add one more destination to the trip. A short drive across the ‘Øresund’ bridge takes you to Malmö, which is the third largest city in Sweden. Lightning the Christmas decoration on the facade of the hotel, which normally takes place mid-November. The light stays lit until the beginning of January. Children’s playroom during Christmas. Santa Claus also comes around to visit the children with presents on Christmas Eve. 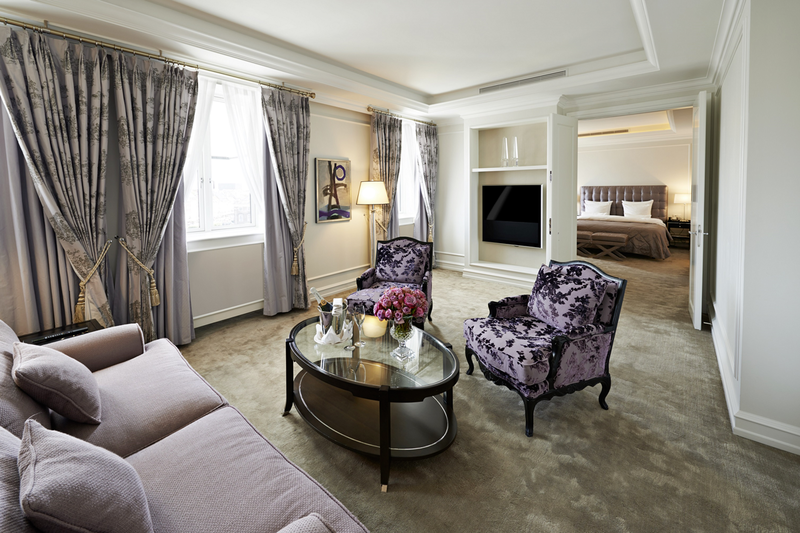 The Royal Suite is comprised of a master bedroom with a grand end-suite bathroom, a stately living room, a private dining room and a spacious balcony. Number of rooms, (keys) in all: 92 including 37 Guestrooms & 55 Suites. We have more than 40 connecting and 30 rooms and suites with balcony. Restaurant Marchal (one Michelin star for four consecutive years) Chef Andreas Bagh. 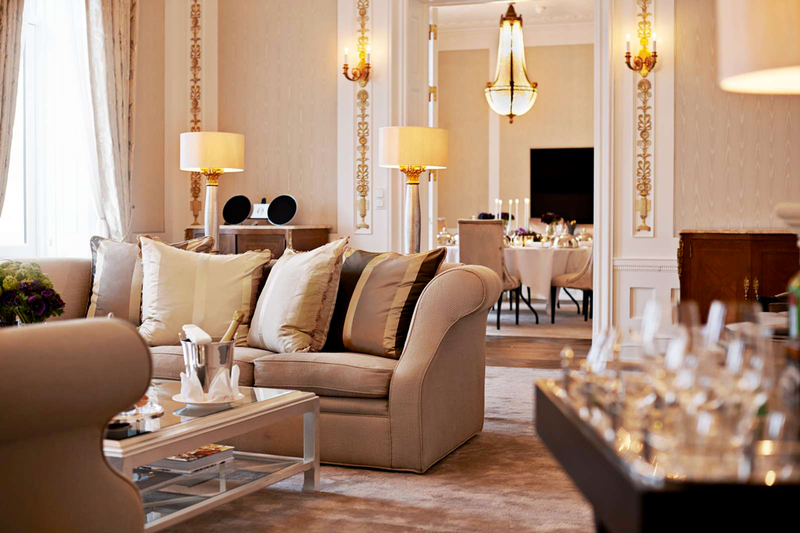 The Michelin star-awarded restaurant Marchal serves an ambitious cuisine inspired by the Nordic and French kitchen. Balthazar, the first Champagne bar in Copenhagen that serves more than 180 different Champagnes and a range of Champagne crafted cocktails and classic cocktails. 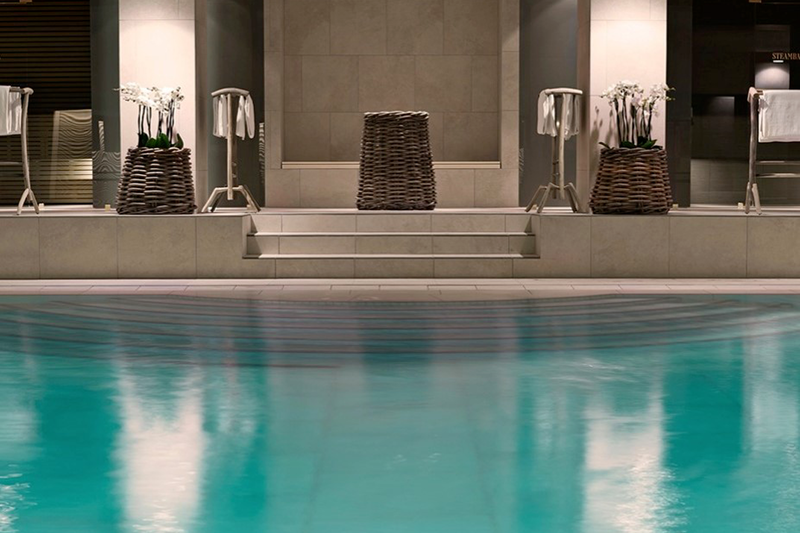 -The Amazing Space Spa at d’Angleterre is designed to provide a tranquil environment for the mind, body and soul. The spa offers an expansive menu of signature treatments, a lounge for relaxation and revitalization and a fully equipped fitness studio. -Indoor swimming pool, sauna, steam bather and Jacuzzi. -Fully equipped gym, open 24/7. 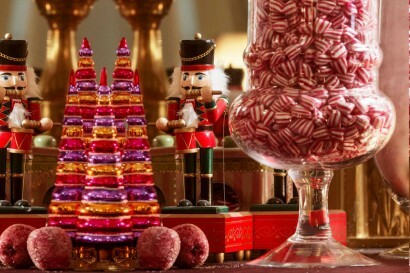 -Christmas parties every Friday and Saturday from end of November until Christmas. 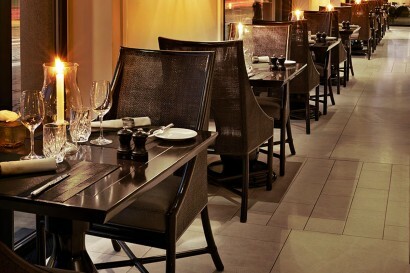 -New Years eve grand party in the Palm Court (up to 250 guests). We closely collaborate with The Scandinavian Golf Club, located about 25 minutes north of Copenhagen. It is one of the few golf clubs with both courses consistently ranked in the Top 70 of Top Courses in Continental Europe. The club provides discerning golfers with a choice of 36 holes, designed by Robert Trent Jones II which are laid out in 200 hectares of forest separated by streams leading into natural ponds. M/Y d’Angleterre II offers the ultimate in style and luxury for your holiday cruise. Aboard one of the world’s finest and most sought after luxury charter yachts, d’Angleterre II offers the ultimate cruising experience across the Mediterranean. Whether cruising along the shores of the South of France, Italy or Corsica, d’Angleterre II epitomizes style and elegance offering each guest a truly unique experience of their own.